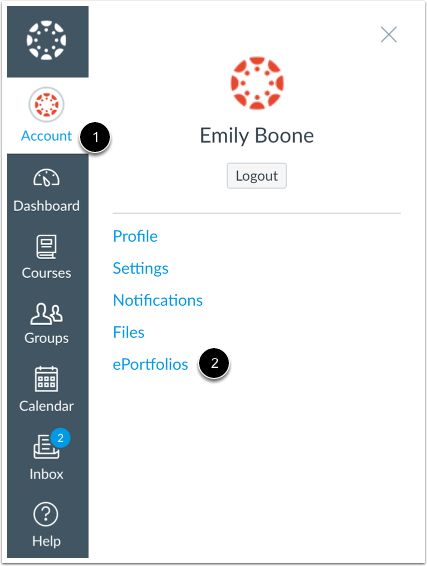 You can download the contents of your ePortfolio as a zip file. Note: ePortfolio downloads do not include comments. 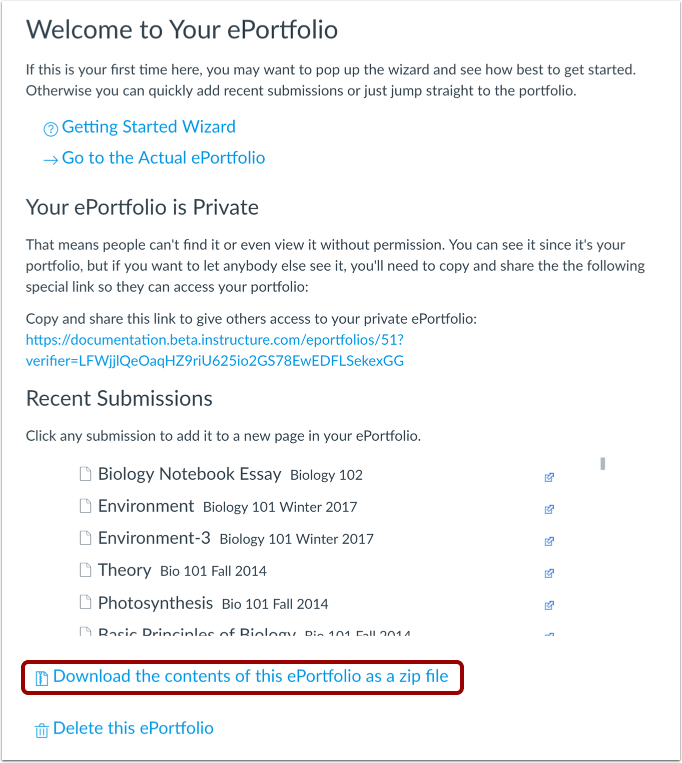 To download your ePortfolio, click the Download the contents of this ePortfolio as a zip file link. You can monitor the download through the progress bar. It will download as a .zip file to your browser's set download location. Previous Topic:How do I enable comments in my ePortfolio as a student? Next Topic:How can I share a private ePortfolio as a student? Table of Contents > ePortfolios > How do I download the contents of my ePortfolio as a student?